Yet another vaccine researcher has been caught faking research on a bogus AIDS vaccine, adding to the pattern of scientific fraud and criminality that characterises the modern-day vaccine industry. Dr. Dong-Pyou Han from Iowa State University has resigned this week after admitting he spiked rabbit blood samples with healthy human blood to falsely show the presence of antibodies that would "prove" his AIDS vaccine worked. What would the world look like if you could see cell phone radiation? Artist Nickolay Lamm has tried to answer that question. In July, Lamm released a series of illustrations imagining a Washington, D.C., where Wi-Fi was visible, bathing famous sites in a rainbow of colors. 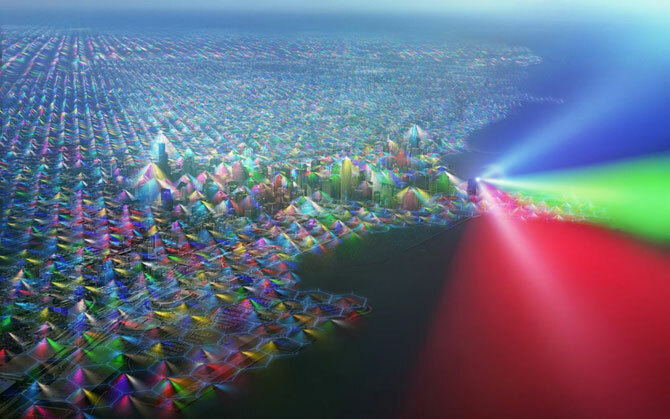 On Wednesday, he finished a sequel of sorts -- a series of pictures of U.S. cities and landmarks, this time with cell phone radiation visible as a hazy, multicolored, strangely geometric overlay. Lamm worked with two professors of electrical and computer engineering -- Danilo Erricolo at the University of Illinois at Chicago and Fran Harackiewicz at Southern Illinois University in Carbondale -- to get his illustrations right. (The pictures can be seen with more technical explanation at MyVoucherCodes.com.) In an email to The Huffington Post, Lamm explained what was going on with each picture. Here, a "hexagonal grid of cellular base-station sites" covers the city of Chicago. Base stations, more commonly called cell phone towers, sit at the corner of each hexagonal "cell" in Chicago's huge network. The picture also shows "antenna signal extending beyond the original cells" that provides coverage over part of Lake Michigan. The most common method for early detection is mammography. A mammogram is an X-ray picture of your breast that can reveal tumor growths otherwise undetectable in a physical exam. Like all x-rays, mammograms use doses of ionizing radiation to create this image. Radiologists then analyze the image for any abnormal growths. Despite continuous improvements and innovations, mammography has garnered a sizable opposition in the medical community because of an error rate that is still high and the amount of harmful radiation used in the procedure. The EMF / Cell phone cancer link is being explored by more and more scientists as we move from the "denial phase" into the "let's take a look at this seriously phase" in the face of more evidence presenting itself amongst the 5.9 BILLION cell phone users internationally. Dr. Devra Davis started off as a skeptic and has moved on to becoming a researcher and an educator of the cell phone cancer risks. This video tells a secret story of manipulation and madness. It is a true account of how the genius of Eric Dollard and the selflessness of the People have been shamelessly attacked by agents of suppression. The recent Machiavellian plot against Aetherforce that was hatched by known suppression agent Aaron Murakami resulted in the shattering of EPD Labs and the waste of thousands of donated dollars. However, this only one consequence of a much larger tragedy. This larger tragedy grows from one man's naked greed and another man's deep alienation from society and humankind. Most of you will be shocked at the contents of this video. We at Aetherforce admit culpability for trying to preserve the Professor's good reputation while raising over 30 thousand dollars for his new lab, car, and glom. We did so because we hoped and believed that the Professor could conquer his demons once he saw that he had the full force of the People on his side. Many of us donated money, time, and enthusiasm to show the Professor that we embraced his ideas and that we had true affection for him as a person. They suppressors, led by the self-promoting Aaron Marukami, thought that if they turned the icon of hope that we had created against us that it would break us and the knowledge and unity that was forming around our movement would dissolve. They would then be free to pursue the suppression of free energy and the monetization of their own dubious products. Instead the opposite is happening. Our victory is being watched by the world-at-large. Scores of researchers are already flooding to Aetherforce in droves. Everyone is thrilled to finally be part of a united front against suppression. This may be the best thing to come out of the present controversy, even more so than the knowledge itself. And that is the real purpose of this video. The dream to build the Cosmic Induction Generator is still alive. It is time to accept that Dollard's theoretical contributions are all the Professor is capable of offering at this point. We hope that he will eventually overcome the challenges that face him and put his life back together. We also know this will never happen while he is under the "spell" of suppressors such as Aaron Murakami. Already scientists and scholars from all over the world are joining Aetherforce and labs are popping up all around us. Everyone knows that knowledge of the aether is the best hope for humanity's future. We need your support! Give this video a thumb's-up to show you support the quest for free energy. Let the suppressors know they are in for the fight of their lives! Let's light up the Aetheric Revolution together. 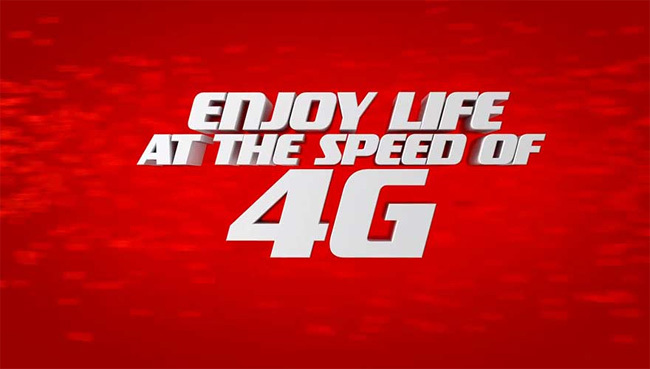 The first study on the short-term effects of Long Term Evolution (LTE), the fourth generation cell phone technology, has been published online in the peer-reviewed journal, Clinical Neurophysiology. Despite numerous alternative treatments that are now coming to the forefront, the medical industry continues to promote and push radiation, chemotherapy and surgery as the only viable options for cancer treatment, this is simply not true. Major studies within cancer research have been proven as false which also suggests that the mainstream treatments we use are based on fraudulent findings and false science. It’s usually the treatments not heavily publicized and promoted that we should keep our eye on. More researchers are catching on, not to long ago University of Michigan researchers suggested increasing public funding of research to decrease potential bias from industry ties. In 2011, Dr. Nora Volkow, Director of the National Institute on Drug Abuse, published a similar study in the Journal of the American Medical Association that received worldwide news coverage. Dr. Volkow reported that a 50 minute exposure to CDMA, a second generation cell phone technology, increased brain activity in the region of the brain closest to the cell phone. It is not the power of cell phones that is the problem it is the fact that they present random and chaotic signals to the body. Children are most susceptible to brain tumors due to their thinner skulls, faster cell growth and longer exposure. Unborn children are also at greater risk and expectant mothers should reduce their cell phone use as it has been shown that expectant mothers' cell phone use increases the chances of behavioral problems developing by 54%. It is also not a good idea for anybody to carry cell phones in their pocket - especially guys who would like children at some point. A recent study states*: "RF-EMR in both the power density and frequency range of mobile phones enhances mitochondrial reactive oxygen species generation by human spermatozoa, decreasing the motility and vitality of these cells while stimulating DNA base adduct formation and, ultimately DNA fragmentation. These findings have clear implications for the safety of extensive mobile phone use by males of reproductive age, potentially affecting both their fertility and the health and wellbeing of their offspring." In 2011 an Israeli research group reported a major increase in the incidence of parotid gland tumors over the last 30 years, with the steepest increase happening after 2001. Your parotid gland is a type of salivary gland found in the area of the cheek - close to where we place our cell phones when calling. The researchers found a four-fold increase in parotid gland cancers from 1970 to 2006, while rates of other salivary gland cancers remained stable. On May 31 2011, the World Health Organization /International Agency for Research on Cancer (IARC) issued a report admitting cell phones might indeed cause cancer, classifying radio-frequency electromagnetic fields as "possibly carcinogenic to humans" (Class 2B). 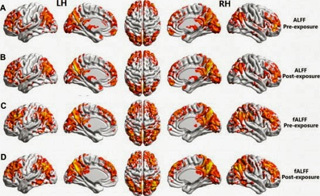 The classification came in part in response to research showing wireless telephones increase the risk for brain cancer. "Given the potential consequences for public health of this classification and findings," said IARC Director Christopher Wild, "it is important that additional research be conducted into the long?term, heavy use of mobile phones. Pending the availability of such information, it is important to take pragmatic measures to reduce exposure such as hands?free devices or texting." So, back to the main question again: Do cell phones give you cancer? The answer seems to be very clearly that a growing number of researchers are concluding that there is a real causal link between cell phone use and increased cancer risk. We will keep on posting the latest science-based reports. In the mean-time it would seem prudent to minimize usage of both cell phones and cordless home phones(radiation levels are often higher and we use them for longer) and to keep them away from the body as much as possible. Cell phone technology, as well as all other EMF producing technology should be made safe for everybody to use. Until this happens, use common sense to minimize exposure and use protective tools to harmonize EMF radiation and so protect the body and support the immune system. Andrew Norton Weber [ www.andrewnortonwebber.com and www.aquariusthewaterbearer.com ] - If you drink a gallon of distilled water per day you can reverse the aging process, flush out accumulated toxins from your body and even get your hair color back. The myth that distilled water leads to earlier death is just that, a myth, the truth is that the minerals some scientists allege that get depleted from your body are in fact inorganic minerals that can't be absorbed anyway. See this list of writings and testimonials from over 70 doctors and experts on the truth and positive benefits of distilled water. Also see this 220 page PDF document of distilled water testimonials from www.aquariusthewaterbearer.com. A presentation by Sylvia Chandler, owner of Zen, a leading alternative health shop located in the centre of Birmingham and Moseley. Sylvia has over 20 years experience in a wide variety of different fields. Her passion for the health and well-being of the people of Birmingham, led Zen into the for front of "alternative" treatments. With a selection of remedies/treatments/workshops, Zen has pioneered and revolutionised from the moment it opened, encouraging people to learn new things, and making available all the therapies. Filmed on the 5th October 2011. Public Forum in Enderby BC on Smart Meters and the Wireless Industry. This is a template letter that you may choose to personalise and send to your electricity retailer to inform the company that you refuse consent for the installation of a “smart meter”. A trial of “smart” water meters is due to start in Tairua on the Coromandel Peninsula. if you do not want to be part of this trial, below is a template document that you can personalise send to the Thames-Coromadel District Council to advise them of this fact. An introduction as to how wireless / electric fields interfere with us. Also see The Truth About Smart Meters and The Truth About Wired and Wireless Technologies futher down this page. A group effort by women around the world to help inform others about the dangers of GMO food. 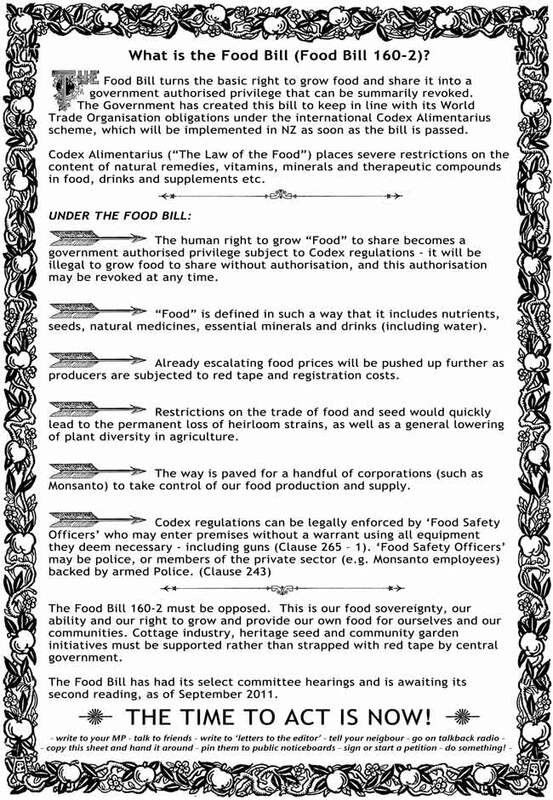 We hope that this helps illuminate others to the need to take back control of our food. Regular readers of the Inconvenient Woman Blog already know that I think the HPV vaccine, Gardasil, is a dangerous and unnecessary drug. I believe that Merck has perpetrated a clever, profitable, but deadly hoax on the public. Is HIV / AIDS A Scam? 'House of Numbers'; here is a fascinating documentary that challenges the common view about HIV and AIDS. 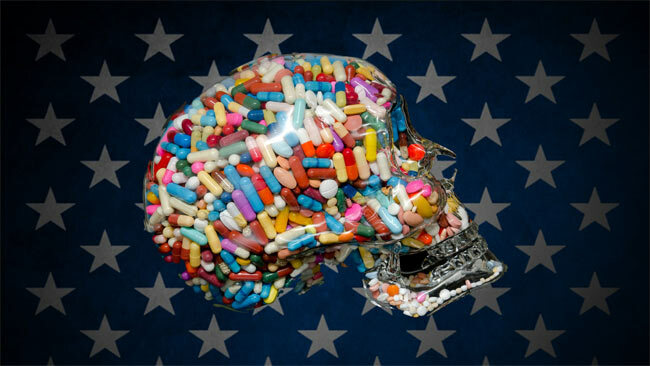 Just when you think that you have uncovered all the deception surrounding todays medical industry; something like this HIV/AIDS documentary comes along and reveals how much deeper the rabbit hole of deception actually goes! (1) HIV testing is a bunk, (could almost be compared to flipping a coin). (3) AIDS statistics are manipulated to justify funding for AIDS programs, (for example, if a healthy person turns up the 'positive' test, once the AIDS drug program they are given has killed them, they are recorded statistically as having died of AIDS). (4) HIV has never been seen under the microscope, is entirely theoretical, and may not even exist. We tend to think of New Zealand as nuclear-free but the reality is quite different. Radioactive material produced in nuclear reactors in other parts of the world is imported into the country on a near daily basis and thousands of x-ray generations are at work up and down the country. X-rays, gamma rays and radiopharmaceuticals are used extensively in human and animal health and radioactive sources are deployed in a plethora of industrial and research applications. Human senses cannot detect the presence of ionising radiation and over time the cumulative effects of undetected radiation exposure become a threat to health. This is of particular significance for the thousands of workers whose occupation brings them into close and frequent contact with sources of ionising radiation. New Zealand has regulations setting occupational exposure limits for radiation workers and personal monitoring is generally mandatory to ensure that these limits aren't exceeded. At present most radiation workers in New Zealand are monitored using a piece of photographic film worn inside a plastic holder. After a wearing period of between one and three months, the film is removed from the holder and sent away to be developed and a dose estimated by measuring the change in density (or blackening) of the processed film. Practical film-badge dosimeter technology emerged from the Manhattan Project during the Second World War. The way in which radiation workers are monitored is set to change with the introduction of a new and very different type of dosimeter that has just been approved for legal use in New Zealand. This device is based on novel direct ion storage technology where a specially fabricated transistor records the total amount of ionizing radiation received. Direct ion storage technology is used at the European Organisation for Nuclear Research (CERN) facility in Switzerland and a militarised version is used by a number of European NATO member countries. The radiation sensitive components of the new dosimeter are packaged together with interface circuitry into a small and lightweight USB pen-drive shaped unit. Instead of waiting months for information about a possible exposure, radiation workers can now plug their dosimeter directly into a USB port of an Internet-connected Windows or Mac computer and get an instant readout of any dose received. Dosimeters can be read on-site as often as needed offering peace of mind and saving time and hassle sending dosimeters away for processing. Incident exposures can be investigated immediately minimising further potential harm. Based in Christchurch, Radiation Protection Services Limited (RadPro) provides personal monitoring solutions for individuals at risk of occupational exposure to sources of ionising radiation. RadPro is an authorised distributor of Mirion Technologies Dosimetry Services Division and distributes the instadose direct ion storage dosimeter in New Zealand. The use of aerial manned and unmanned vehicles for the aerial spraying under State and Federal mandates for vector control began under the Geneva Act for Chemical and Biological Weapons in 1949. Aerial vaccines are also directed towards animals by the use of plastic packets dropped by planes or helicopters. Sanofi (who is one of the largest vaccine manufacturers in the world) has subsidiary companies such as Merial Limited who manufacture Raboral, an oral live-virus poisonous to humans yet distributed wildlife in the masses. "In the United States, more than 12 million doses of RABORAL V-RG vaccine are used each year. Since the first use of RABORAL V-RG in the late 1980's, more than 100 million doses have been distributed around the world." At the beginning of the year, a KVUE news report indicated that the Texas Department of State Health Services would initiate an aerial vaccine drop of 1.8 million doses in January alone. Raboral V-RG is a poison because according to the material safety data sheet its ingestion, parenteral inoculation, droplet or aerosol exposure to mucous membranes or on broken skin is considered a health hazard exposed to infectious fluids or tissues. I am just starting to dig into this doc but so far it seems like a blueprint for our toxic, soft kill world today. Just look at the subtitle: "Food and Liquids Used as a Medium in Deliberately and Carefully Planned Methods Developed by the Vicious Element of Humanity, for the Mental Deterioration and Moral Debasement of the Mass, as a Means Toward Their Enslavement." Uhm…yeah. There are links to the entire book at the bottom of this post I also posted a brief summary from Old-Thinker News. As the soft-kill depopulation agenda accelerates it seems all the more relevant to re-post these articles as one. I ask the great Infowars-readership to project this information out to as many people as possible. Only by countering the elite’s disinformation with genuine information do we stand a chance against their plans for humanity. New Zealand’s national free influenza immunisation campaign was officially launched in Wellington today by the National Influenza Specialist Group (NISG) 1. The campaign this year to protect New Zealand’s at-risk population from this serious illness may, however, also have a global impact. This is the first year of a major international five-year flu study being funded by the US Government’s Centre for Disease Control (CDC) and conducted by New Zealand scientists in the Auckland region. The “SHIVERS” (Southern Hemisphere Influenza and Vaccine Effectiveness Research and Surveillance) project aims to help improve international knowledge prevention and treatment of flu by looking at what proportion of the population gets flu each year, which groups are hardest hit, how often flu is the underlying cause of death, and how effective flu vaccines are among certain groups of the population. The foundation of the international food industry, monopolized by large corporations that hold zero regard for your health, is cracking . As more and more individuals begin to realize that they are eating their way to disease through the consumption of these products, they become outraged at the companies peddling their latest toxic food product. The result? Companies are now being forced to either answer to the consumer demands (removing the toxic substances from the food supply and adapting legitimate environmental manufacturing practices) , or lose their customers. Increasingly, we see this happening on a larger scale. Major companies like Campbell's have begun abandoning bisphenol A ( BPA ), the cancer-linked chemical found in can linings and plastic containers. The change comes after even the FDA was forced to re-evaluate the safety of BPA, potentially issuing a ban by the end of this month. Linked to cancer, diabetes, and much more, consumers have become fully aware of the dangers that BPA presents — and they aren't handing over their hard-earned dollars to companies that refuse to remove BPA from their products. Following the call by ethicists for after-birth abortions and the press explosion surrounding the ‘ Euthanasia Coaster ‘, new legislation from Australia is now paving the way for children of any age to consent to sterilization — without parental consent . That's right, if a psychiatrist determines that a child under the age of 18 years is ‘sufficiently mature', they will be sterilized without any say from the parents. Again, there is no age minimum , as long as they are ‘ mature ‘ enough. The legislation, known as the ‘Draft Mental Health Bill 2011', also allows for 12-year-olds to consent to psychosurgery and electroshock . You can view the bill for yourself on the Australian Mental Health government website. Written by the Western Australia Mental Health Commission (MHC) and overseen by Mental Health Commissioner and clinical psychologist Mr Eddie Bartnik, objections can still be submitted to Australian parliamentary members in each state until March 9th. The laws governing the sale of drugs and food additives require substances be safe for human consumption. The artificial sweetener aspartame primarily consumed in beverages and as a popular sugar substitute has consistently been found to cause tumors and brain seizures in animal subjects. In 2005, a European Cancer Research Center, the Ramazzini Foundation, called for an urgent re-examination of aspartame in food and beverages to protect children.
' Food Matters' is a hard hitting, fast paced look at our current state of health. Despite the billions of dollars of funding and research into new so-called cures we continue to suffer from a raft of chronic ills and every day maladies. Patching up an over-toxic and over-indulgent population with a host of toxic therapies and nutrient sparse foods is definitely not helping the situation. In a personal quest of discovery James & Laurentine together with a film crew and the editorial and production expertise of Enzo Tedeschi have set out on an independent mission to uncover the wholesome truth. 'Food Matters' seeks to uncover the business of disease and at the same time explore the safe, cheap and effective use of nutrition and supplementation for preventing and often reversing the underlying causative aspects of the illness. With the premise of the film being: access to solid information helps people invariably make better choices for their health. The 'Food Matters' duo have independently funded the film from start to finish in order to remain as unbiased as possible, delivering a clear and concise message to the world. Food Matters. Dr. Havas is an associate professor of Environmental & Resource Studies at Trent University where she teaches and does research on the biological effects of environmental contaminants. Her research deals with the health effects of non-ionizing electromagnetic energy at the extremely low frequency range associated with electricity (60 Hertz) and at the radio frequency range commonly associated with wireless telecommunication. Dr. Havas is particularly interested in monitoring exposure of the population in urban centres to radio frequency radiation and power-frequency fields. She is the author of numerous works on the subject. She received her Ph.D. from the University of Toronto, completed Post-Doctoral research at Cornell University, and taught at the University of Toronto before going to Trent University in Peterborough, Canada. Also see this page on the United States Environmental Protection Agency website about cleaning up after a compact fluorescent "energy saving" lightbulb breakage. These bulbs are very bad for you to use, and if they break will release toxic mercury vapour turning the area into a toxic waste zone. The Truth About "Smart Meters"
The city councils of Santa Cruz, Scotts Valley, Capitola and Watsonville, and the Santa Cruz County Board of Supervisors have called for a moratorium on the installation of PG&E "SmartMeters". Why is PG&E ignoring these explicit demands and going ahead with the 2+ billion dollar "roll out"? The SmartMeter system collects electric and gas usage from homes and transmits the data via pulsed microwave to a wireless network (no meter readers). FIND OUT if these microwave meters are the future for GREEN energy or DANGEROUS and INACCURATE and reveal private details of daily life - when people wake up, come home, take a hot bath and go on vacation. Were Bone Scans Bone Scams? Women are in such danger of osteoporosis they need regular bone scans. That was conventional medical "wisdom" since the first lucrative bone drug surfaced over a decade ago. But a recent article in New England Journal of Medicine reveals that the warnings don't apply to 90 percent of women who have been getting the scans--and the bone drugs the scans were designed to sell--for no reason. How did this happen? In 1994, a year before Fosamax, Merck's blockbuster bone drug, was approved, Merck began marketing the dangers of osteoporosis "far beyond ailing old ladies." It hired researcher Jeremy Allen to whip up osteopenia fears to sell bone drugs by planting bone scan machines in medical offices across the country, says National Public Radio. Allen created the faux "Bone Measurement Institute" to establish osteopenia, the "risk of osteoporosis," as a health epidemic. The scheme worked. By 1999, there were 10,000 bone scan machines in medical offices, said the Associated Press, when there had been only 750 before the bone drugs hit the market. The diagnosis of osteopenia increased seven fold. Through decades of propagandizing, the United Nations has developed an undeserved reputation for humanitarianism and democracy. As a result, the vast majority see the United Nations as a benevolent organization which they can call on to defend human rights in their home countries.Unfortunately, national sovereignty rarely enters into the equation anymore, as the average citizen tends to look straight to the United Nations to address their concerns, bypassing their own governments. While global government bodies continue to promise a better world through consolidation, the real face of the New World Order comes in the form of forced GMO crops and drug scandals. The purchase by the Bill and Melinda Gates Foundation of 500,000 shares of Monsanto stock is just one subset of his super-fund’s hostile takeover of the global food and medicine china. Monsanto is the world’s largest producer of genetically modified food, while the Gates and Rockefeller Foundations push AGRA on Africa, hinged around GMO drought-resistant crops. Sixteen scientists have signed on to an op-ed published in The Wall Street Journal declaring there is no need to panic about so-called global warming and rush to “decarbonize” the world– instead, it’s part of an agenda that considers man an “enemy”. Bill Gates, the heavy Monsanto investor who purchased 500,000 shares of the biotech giant in 2010, has been touting Monsanto’s genetically modified creations as a tool that is necessary to prevent starvation in poor nations. The same poor nations where thousands of farmers routinely commit suicide after being completely bankrupt by Monsanto’s overpriced and ineffective GM seeds. There is a growing body of scientific evidence which proves that genetically-modified organisms (GMOs) are inherently different from natural organisms, including the way the body processes them, as well as how the immune system responds to them. But Monsanto, the largest purveyor of GMOs in the world, believes that GMOs are no different than natural organisms, and that GMO testing is both needless and valueless. In theWhy aren’t you running human clinical trials on GM crops?section of Monsanto’sFood Safetypage, the biotechnology giant explains its opinion that GMOs are “substantially equivalent” to natural organisms. According to Monsanto, since concentrations of proteins, carbohydrates, and other nutrient factors vary among natural crops, as well as among natural and GM crops, then these differences are automatically unimportant in light of GMO safety. The Japanese government and Tepco have covered up the extent of the radiation released by Fukushima and its health effects on the Japanese and others. Critics say the government can no longer pull the wool over the public’s eyes, as they contend it has done routinely in the past. A lot happened in the vaccine industry in 2011 — a year of accelerating change and increased awareness among the people. One of the big realizations that hit home in 2011 is that vaccines are far more dangerous than most people previously thought, and even conventional scientists are starting to question the over-vaccination of infants and children. Click here for the 10 biggest vaccine news stories of 2011, reported on NaturalNews.com and InfoWars.com. 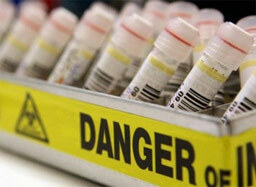 Bioweapons - Should Science Be Censored? Scientists seeking to publish highly controversial studies on the avian influenza virus H5N1 have agreed to remove key details from manuscripts describing their work following requests from the U.S. National Science Advisory Board for Biosecurity (NSSAB). This effective censorship of scientific research - including potential to create airborne contagions - has sparked debate over the balance between freedom of information and public safety. Two groups of virologists are planning to publish their research in the leading scientific journals Science and Nature. Their research identifies mutations in bird flu H5N1 DNA which could make the virus more transmissible and dangerous to humans. The NSSAB expressed concern that such information could be used by terrorists orchestrating a biological attack using the virus. Both research groups have now reluctantly agreed to redact data from their submitted manuscripts at the request of the NSSAB. Discussions are currently under way to determine how other scientists may gain access to the removed data. Part of the Codex Alimentarius worldwide rollout this is a real trojan horse. While the Greens dismiss the truth of this, the framework for the worst case scenario will be written into legistlation. Click here to download a print resolution PDF of this overview. Thank you to AoteaAWiderPerspective for this. The publicly-funded NZ Science Media Centre is offering bizarre suggestions to news editors and journalists about how to report the accidental spread of GE canola in Australia and the US. The SMC advises that science reporters should talk about GE canola "brightening the roadsides with yellow during their flowering," and to report that the latest research paper "is unremarkable and not at all surprising." The SMC media advice comes at the same time as publication of research confirming the spread of GE crops and herbicide-resistance into the US environment. Rather than advising the media of scientific uncertainty and debate about the implications of GE crops spreading, the SMC advises media to say that contamination had happened before and was just being "repeated now in the US state of North Dakota." In Australia contamination from GE canola has ended up with farmers in court, and Western Australian growers are being asked to stop growing GM Canola by grain exporters. New Zealand farmers are also alarmed at the risk to exports and local cropping from GE maize and GE wheat.There is concern that Monsanto may attempt to enforce the introduction of GE seeds through trade agreements like the TPPA. The spin being pushed by the New Zealand Science Media Centre cannot be taken seriously when it deliberately ignores the scientific debate, and fails to consider the economic implications of GE contamination for New Zealand's clean-green image and global exports. The SMC does not mention that increased use of toxic chemicals in the environment is being directly blamed on growing herbicide resistance in weeds and in GM crops. By ignoring this and instead advising journalists with PR spin that "herbicide resistance in canola is of no consequence if the canola is not sprayed," the SMC is dismally failing to provide the media with a credible perspective on scientific issues having claimed until now that this was its purpose and mission. 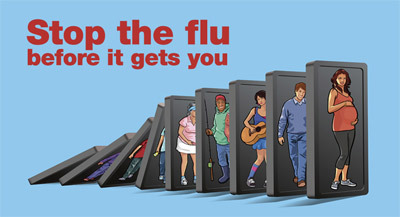 On Friday 9th July 2010 it was reported that 1 million New Zealanders have been immunised with H1N1 Flu vaccination. Upon hearing this I immeidately smelt a rat! I find it impossible to believe this. Could this be just another way to push this dangerous vaccination upon the New Zealand public. The agenda behind this immunisation is claimed to be part of a mass depopulation type agenda. See the youtubes below. As in other countries, they are also trying to make this vaccine mandatory in New Zealand. One way to test if the New Zealand television media is lying is to do your own poll. If they are corret then 1 in 4 people in New Zealand will have received this vaccine. Courtesy: RelatingToLife.com where you can also view the CBS 60 Minutes documentary on the swine flu epidemics of 1976 in the U.S. It went on air only once and was never shown again. Blackwater was renamed in 2009 after becoming famous in the world with numerous reports of abuses in Iraq, including massacres of civilians. It remains the largest private contractor of the U.S. Department of State “security services,” that practices state terrorism by giving the government the opportunity to deny it. If you thought that Fluoride was safe and effective, then you've no doubt been following the mainline medicine and government line. Unfortunately the truth is that they lied, committed fraud and covered up evidence in order to facilitate water fluoridation. 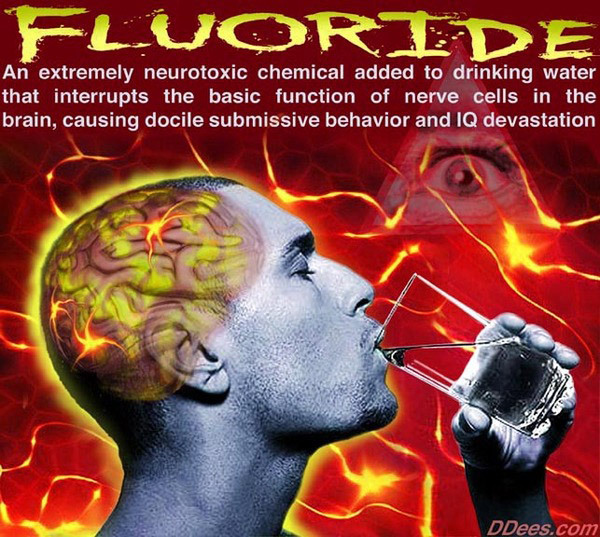 The following is an in depth presentation by Dr. Paul Connett, the world's leading authority on fluoride toxicity at the UNCENSORED conference in the grey lynn community hall in New Zealand. The U.S. Patent and Trademark Office has a listing for, 'Genetically Engineered Swine Influenza Virus and Uses Thereof'. Download United States Patent 20090010962 here. This vaccine patent was filed with the U.S. Patent Office in 2005. They waited for the patent to be approved in 2009 before unleashing the virus, so they could cash-in! The patent was finally approved on January 8th, 2009. In other words, the makers of the Swine Flu Vaccine began the lengthy patenting process long before the Swine Flu supposedly existed, which means the outbreak was no accident, and this virus is clearly not natural. The virus conveniently went public only after its vaccine patent was approved, after waiting 3 years for it. Could we possibly get any better proof that the Swine Flu was man made and intentionally unleashed? We have it in writing by their own admission that they made it! The pandemic was declared just five months after the patent was approved, in June of 2009. Tremendous hysteria followed that was promoted by the same groups who "invented" (their word) this admittedly genetically engineered virus. "The present invention relates, in general, to attenuated swine influenza viruses having an impaired ability to antagonize the cellular interferon (IFN) response, and the use of such attenuated viruses in vaccine and pharmaceutical formulations. In particular, the invention relates to attenuated swine influenza viruses having modifications to a swine NS1 gene that diminish or eliminate the ability of the NS1 gene product to antagonize the cellular IFN response. These viruses replicate in vivo, but demonstrate decreased replication, virulence and increased attenuation, and therefore are well suited for use in live virus vaccines, and pharmaceutical formulations." You see, this virus was not discovered in the wild. It was "invented". The patent ownership is claimed by the Mount Sinai School of Medicine (of New York University), St. Jude Children's Hospital, and the U.S. Secretary of Agriculture. St. Jude! Indeed, the rabbit hole goes very deep. These names should live in infamy, and each of these people should be held accountable for every Swine Flu death. Why would an 'attenuated' (weakened for the purpose of vaccines), genetically engineered virus exist, and be patented prior to any outbreaks in history ? when it doesn't exist outside the laboratory? When we first reported on the Swine Flu on the audio show, we mentioned the impossibility of it having occurred naturally. After all, Swine Flu, Avian Flu and human flu D.N.A. cannot naturally mix without destroying themselves. If the above patent application did not match the Swine Flu virus that is now being found in humans exactly, then it would be completely useless for creating immunity. Therefore, since the above patent is for a genetically engineered virus, then the virus spreading through the population would also have to be genetically engineered in an identical fashion, and almost certainly would have come from the same laboratory. The virus is documented by the U.S. Patent Office to have been intentionally created prior to 2005, at a time when the virus "did not exist". The virus would have to wait three years for patent approval to exist in the wild. The only question that remains is, was this bio-weapon attack against the public accidental, or intentional? Considering that they had this vaccine ahead of time, and the coordinated media cover-up yields the depressing answer to this question. Was it just a test run, before they release something that is much worse? Was it an attempt to create panic, so that they could rush more bills through like they did in the weeks following the World Trade Center attacks? Is it all part of a population control experiment for the New World Order? The H5N1 Swine Influenza virus is a genetically enginnered bioweapon, as evidenced by the 2009 United States Patent filing number 20090010962 which you can downlaod and review for yourself here. See LoveForLife.com for further information and evidence. The risk of artificial sweeteners is still very real. Aspartame is used as a substitute sweetener in thousands of products. Most diet sodas, processed foods and candies contain this ‘alternative’ to sugar. If you aren’t careful, you’ll easily run into it somewhere in your food. Aspartame is marketed not by its real name, but through products like Equal and NutraSweet. This is because aspartame itself has a bad reputation as a dangerous excitotoxin. An excitotoxin is named for its ability to ‘excite’ the cells of the body into overproducing a particular chemical, thus burning them out prematurely. Aspartame in particular has been found to affect brain cells, by mimicking the response to sweetness and producing an artificial form of it. One study actually found that 67% of female rats exposed to aspartame developed tumors roughly the size of golf balls or larger. On a heavy spraying day, we talked to passers-by on what they made of the persistent contrails blanketing the city, often referred to as chemtrails. Video features congressional candidate John Fitzgerald confronting top geoengineer Ken Caldeira at San Francisco public library. We also illustrate the difference between water based contrails and persistent contrails when a regular plane (with a short lived contrail) crosses the path of a persistent contrail at a similar altitude.